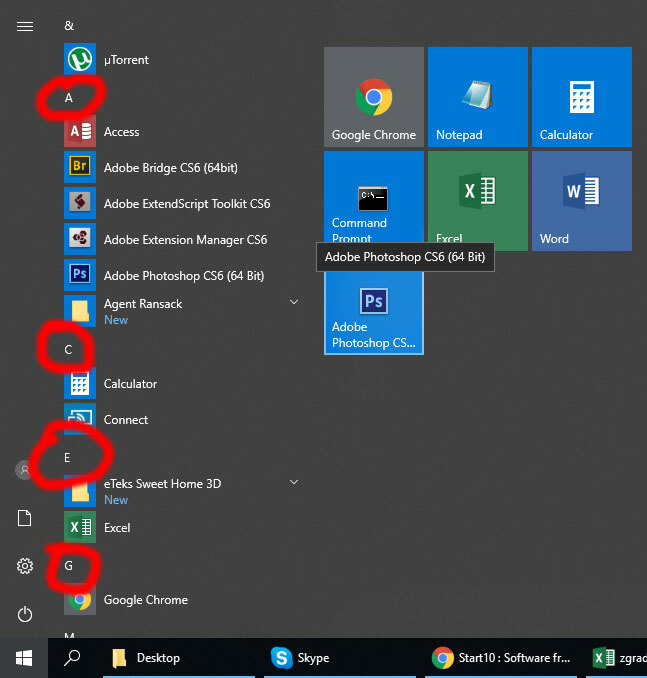 How to Remove Alphabet Letters in Windows 10 Start Menu? One of the most annoying things in the Windows 10 Start Menu are the “alphabet letters” which are apparently intended to speed up your app search and choices. People across the Internet are constantly asking how to remove these and the answer is YOU CAN’T, at least not without a third-party apps. Alphabet letters in the start menu are a left-over from Windows 8 Metro UI. Windows 8 Start Menu had very bad reviews and comments among Windows users so Microsoft decided to modify the Window 8 start menu to resemble the start menu from Windows 7. Unfortunately, they did not finish the transition and those letters are as of 2/28/2019 unremovable. We should add that the real question is not why we can’t remove these letters, but why we can’t edit the Start menu at all. An interesting thing, however, is that we can move a “Start menu” element, only to see the “not permitted” icon pop up. This tells us that Microsoft does plan to enable the modification of the “Start menu” at some point. It is worth to mention the original Microsoft intention for these… For example, if you try clicking on a letter (any letter) you will see the complete alphabet. Next click will lead you right to the apps that start with that letter. This could be useful if an average user had thousands of applications installed, but even then, everybody would simply use search by typing, for even faster application access. One of the most used apps to achieve the goal of removing the alphabet letters is free and it’s called Classic Shell. 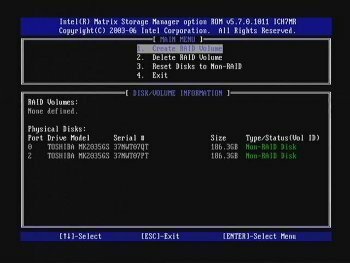 You can download it from http://www.classicshell.net/. It does what it promises. It is fast, customizable and best of all – free. 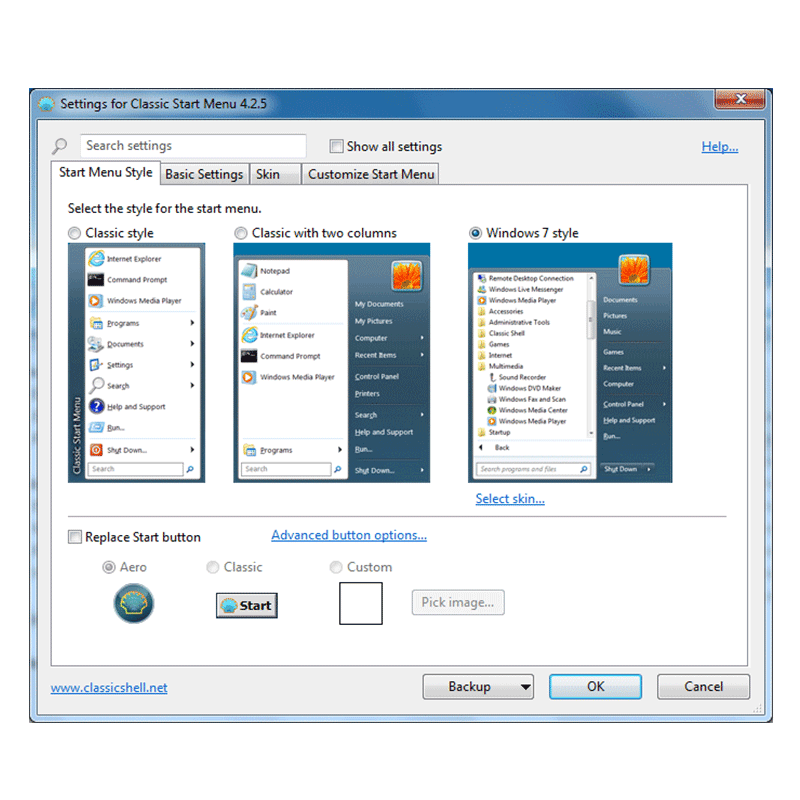 Second best option is Start 10 by Stardock, but unfortunately, it is not free. This app will completely transform your Windows 10 Start Menu to Windows 7-licious Start Menu. Search, pin to start, quick access – everything will work. And the new menu will be customizable as well. 466 queries in 0.668 seconds.